Paul Fairclough has announced his squad for the upcoming friendly against Jordan’s U23 squad. The game is the final match before the International Challenge Trophy kicks off against Slovakia in May. Jordan’s senior side are currently ranked 65th in the FIFA World Rankings, so their under-23’s are sure to give Fairclough’s Three Lions a stern test. Forest Green Rovers and Luton Town lead the way, with both clubs having two representatives in the sixteen man squad. Last time out, England came back from two down to claim a fantastic 2-2 draw with Czech Republic U21 at Woking’s Kingfield Stadium. 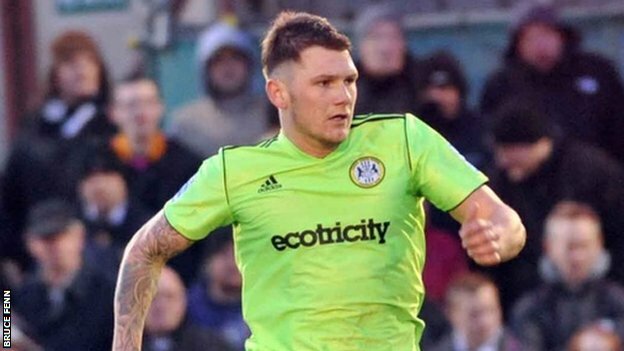 Fraser Franks scored with four minutes to go, and James Norwood equalised in the fifth minute of stoppage time to claim the memorable draw. Norwood now has four goals in three caps, and will be confident of adding to that tally in Amman. The squad will fly out to Jordan on Sunday, March 2nd, with the game taking place on Tuesday, March 4th. Paul Fairclough has announced his squad for the upcoming friendly in Bermuda. The lucky ones chosen will fly out to the paradise island for the match, which takes place on Tuesday, June 4th. The match, organised at the request of the Football Association, takes place at the Bermuda National Stadium, and will provide the home side with an ideal warmup prior to the Island Games, which get underway on July 13th. Preston EDWARDS (Ebbsfleet United), Mitchell WALKER (Dover Athletic), Daniel BRADLEY (Alfreton Town), Antoni SARCEVIC (Chester FC), James NORWOOD (Forest Green Rovers), Chris STOKES (Forest Green Rovers), Josh GILLIES (Gateshead), Sam CLUCAS (Hereford United), Ryan BOWMAN (Hereford United), Micky DEMETRIOU (Kidderminster Harriers), Anthony MALBON (Kidderminster Harriers), Andre GRAY (Luton Town), Ryan JACKSON (Macclesfield Town), Harry BEAUTYMAN (Sutton United), Anthony ACHEAMPONG (Welling United), Fraser FRANKS (Welling United). If anyone wants a report from the game, then feel free to sponsor me to make the long and arduous trip! Manager Paul Fairclough has named his squad for the crucial International Challenge Trophy match with Belgium next week. After taking just one point from their opening two Group A games, a win is vital if the team are to stand a chance of reaching the semi-finals. There are three new faces in the squad; Ian Ormson of Stockport County, Aswad Thomas from Grimsby Town and Gateshead midfielder Josh Gilles. 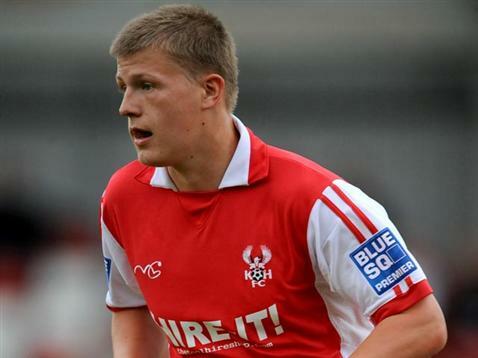 Fairclough has also recalled Sam Hatton of Grimsby Town. 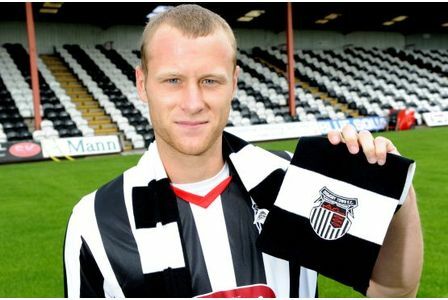 Hatton made his C debut in 2010 while at AFC Wimbledon, but has recently moved to Blundell Park and is therefore eligible again. A win is crucial, but may not be enough, as an Italy victory over Russia in November would eliminate England anyway. Here’s the squad in full, from the FA website. 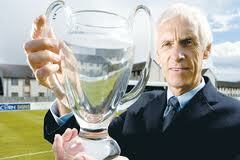 Head over to the site for the full story, along with an interview with Paul Fairclough. Preston Edwards (Ebbsfleet United), Ian Ormson (Stockport County), Sam Hatton, Aswad Thomas (both Grimsby Town), Jamie Turley, Eddie Oshodi (both Forest Green Rovers). Simon Ainge (Guiseley), Lindon Meikle (Mansfield Town), Josh Gilles (Gateshead), Stephen Brogan (Guiseley), Keiron Forbes (Forest Green Rovers), James Vincent (Kidderminster Harriers), Kenny Davis (Braintree Town), Scott Spencer (Hyde), Andre Gray (Luton Town), Josh Wilson (Guiseley). Following the match in Belgium, England head to Albania for the first time ever in October for a friendly.